Beauties, I have a fantastic product to talk to you about today! As some of you know, for the month of March I have been sharing with you some great skincare products and today do I have the gem of them all; sonic cleansing, with Michael Todd Beauty, The Soniclear! I know some of you are wondering, what the heck is sonic cleansing? But, before I get into that, I feel it is important to discuss why we need the Michael Todd Beauty’s, Soniclear in our skincare arsenal. Our skin is constantly subjected to dirt, environmental pollutants and of course makeup. All of this leaves a film on our face acting as a barrier to skincare products. This buildup can leave us with an uneven skintone, roughness, and creates false wrinkles; it can also clog our pores, causing breakouts. Yuk, I know! And if that wasn't bad enough, all of these will also make us appear older! That is why it is important that we have a great skincare regimen that is properly cleaning and exfoliating our face! If we don’t, all the money we’re spending on skincare treatments and makeup is going down the drain! But fret no more as Michael Todd Beauty’s, Soniclear is here to our rescue! What The Heck Is Michael Todd's Sonic Cleansing All About? Sonic skin cleansing is a technological breakthrough using sonic wave powered cleansing brushes that move 300 times per second to efficiently cleanse and exfoliate our skin. The Soniclear from Michael Todd Beauty is a five powered system that uses sonic wave powered cleansing brushes, to remove impurities, clears pores and thoroughly cleanses the skin leaving it ready to absorb your skincare products better! And of course, it helps with makeup application…As makeup always goes on better when you have a clean palette to work with! 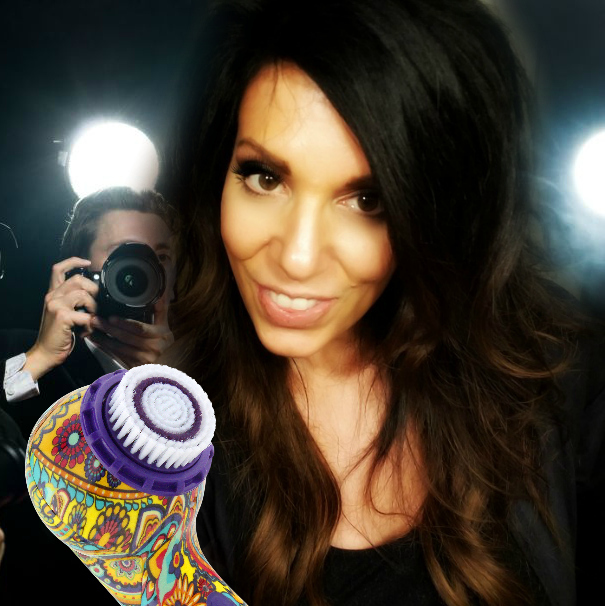 The Soniclear is the world’s first antimicrobial sonic skin cleansing system; and that is why I call it the hidden gem of sonic cleansing brushes. This device is the only device that has an antimicrobial product protection. What does that mean? Let's first start with the fact that a lot of other sonic cleansing brushes can harbor bacteria and dead skin cells after use, YUKO, and who wants to put that on their skin, NOT ME! But NOT the Soniclear as it incorporates antimicrobial protection into its brushes, that in laymen’s terms means this protection helps to guard against the growth of stain and odor-causing bacteria in the brush. This product can be utilized in the shower and out. I prefer to use it out of the shower, so I can see what I am doing. None the less, see below how to use this tool! Before using your Soniclear for the first time, you want to charge it for 24 hours. When you're ready to use, Simply press the ON/OFF BOOST button to turn ON and select your speed. There are multiple speeds with C-Boost™ Collagen Technology. Six sonic speeds for a custom cleansing experience for your specific skin type and skin concerns. To cleanse, wet your skin and the brush head with warm water. Apply cleanser to your skin or the brush bead. Place the brush head flush against your face and gently move in up-down or side to side strokes or in small circular motions. DO NOT press hard. This is one thing that most will want to do, but don’t as it will reduce the effectiveness of the cleansing. 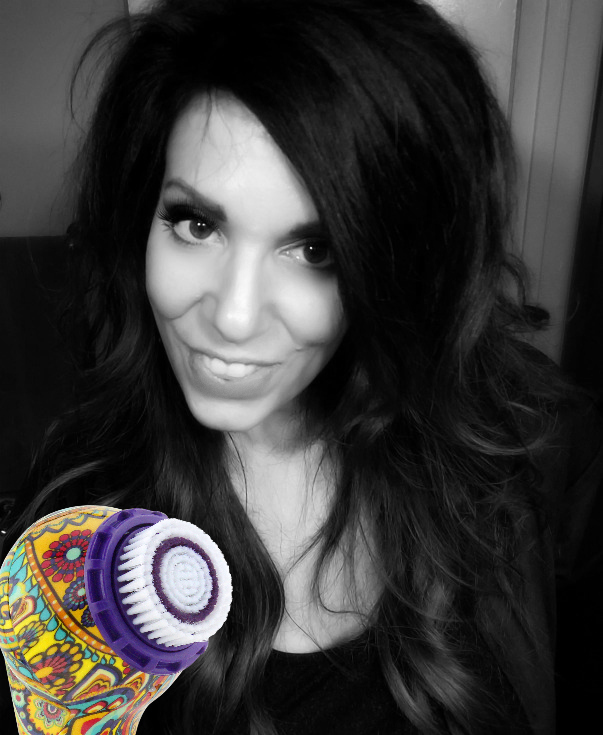 The massage action of the brush with its powerful sonic frequencies is doing its job! It is gentle enough that you can use it up to 2 times per day! You don’t need to be a pro at this because there is a cleansing timer built in that will beep to let you know it is time to move to another cleansing area. Now, I know you’re probably wondering why I still have eye makeup on, well first you can’t use the Soniclear to remove eye makeup. Secondly, after I clean my face with the Soniclear, I go back and wipe all of my EYE MAKEUP with "The Makeup Eraser". I then use the "Makeup Eraser" making one final swoop across my face to remove any leftover cleansing products, residue, that was left. Cleaning: While the brush is an antibacterial brush, this is not a substitute for good hygienic practice. You still need to make sure you are cleaning the brush in warm soapy water and leaving it out to dry! One thing I like about the Soniclear is the brushes last six months, compared to other brands that only last three months. The system comes with a brush for your face as well as one for your body. Produces up to 300 sonic movements per second for 10x better cleansing than with hands alone. I mentioned in the beginning that this is the gem of all, but before I tell you my personal experience. I first want to start off by answering this as I get this question a lot: "Why am I getting an outbreak?" When your introduce your skin to any new skincare products you may see some initial blemishes, this is normal, especially since you will be giving your skin more exfoliation than normal! The Michael Todd Beauty Soniclear is a high-end product! I got this bad boy for my birthday and it's been like having a personal aesthetician at my beck and call ever since! This system offers a salon-quality facial but in the comfort of your home! "A little goes a long way fits this tool." I didn’t have to worry about wreaking havoc on my face with this, as with some other systems I’ve used. I loved that it is gentle and still gets the job done! First, it deeply cleansed my face, and while I’ve been exfoliating my skin for years, the Soniclear helped in removing buildup I didn’t even knew existed. It has rejuvenated my skin, leaving my skin feeling smooth and, more importantly, looking more radiant (you can see the shine) and ready for skincare products and, of course, MAKEUP... For a camera ready look! Aside from the LIFETIME antimicrobial system, this product also comes with a 5-year warranty. Other brands come with a 3-year or less warranty. It has an ergonomically designed handle with soft hand grips. Other brands don’t. You can fully submerge this bad boy in water as it is waterproof. Other brands are merely water resistant! C-Boost provides a stimulating massage designed to promote collagen production. The brushes stay cleaner, fresher longer and will not require replacement as often as unprotected brushes! So there you have it beauties, Michael Todd Beauty Soniclear, the gem to Looking Younger While Getting Older. Make sure to let me know your thoughts on this product, I love to hear from those who have used it! This Product uses magnets which may affect internal medical devices such as pacemakers. Keep away from internal medical devices. To avoid damage, keep magnetic media such as computer discs, credit cards, and tapes away. I need to try one of these. I've seen them around and have wondered what is the difference between this and the Clarisonic? Do you know? I love this brand, they have some great skincare products!!! Thanks for sharing your thoughts on our product. We're glad you like it! We're glad that you liked the Soniclear. Thanks for sharing your honest opinion on the product! Oh, and your mom sure know's how to pick birthday gifts! Love the Elite Version they have for men! Love that their products are cruelty free!